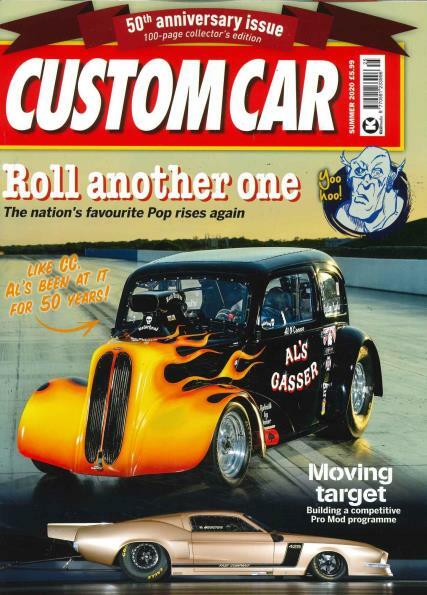 Custom Car is the UK’s most popular magazine on cars that was launched in way back in 1970 and continues to remain popular to this day. Buy a single copy or subscription to Custom Car magazine. Followed by £21.55 over 6 months by direct debit. This magazine is the ultimate mix of the best custom cars, trucks and motorcycles in the world. For the automobile enthusiast, this magazine is like a Bible of sorts. If custom cars are what you lust for, and Pimp My Ride and Top Gear are your favourite television shows, then Custom Car magazine is definitely the perfect magazine for you. This magazine has in depth and exclusive features on the best custom cars, bikes and trucks in the world. It has really interesting articles on how some of the best custom cars were built from scratch. Using some of the insight from this magazine, you could get inspired to customize your car also. Some of the things in car customization are really elementary and can be done by anyone and everyone. It features detailed reports on fancy project cars, articles from some of the world’s most renowned experts in the automobile industry and custom car design, news about events and other exclusive features. Custom Car magazine even comes equipped with a lot of knowhow about how to get cheap car insurance for your machine, and information about racing events. It is also available for subscription throughout the world.